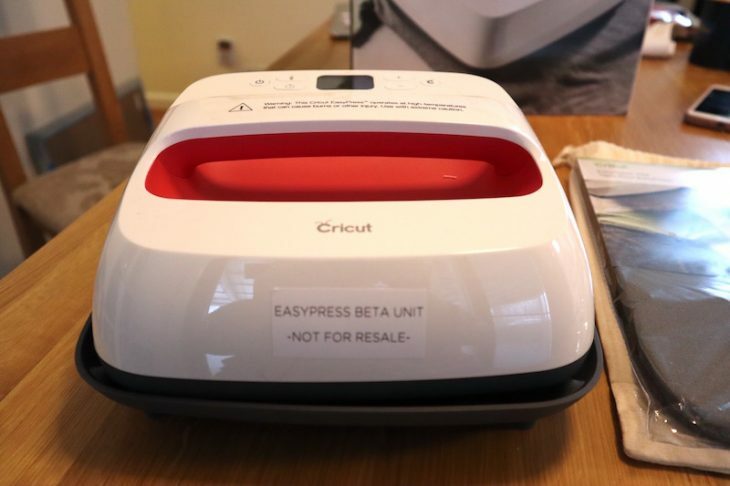 The Cricut EasyPress 2 is going to make your DIYs so much easier. This press comes in three sizes: small, medium, and large. Pick the size that works best for the majority of your craft projects. I grabbed the medium size one because there are lots of pillows, hand towels, and t-shirts in my future and that seemed like the best size. The EasyPress 2 gives me iron-on success in 6o seconds or less. The EasyPress sets the right temperature and time for lasting results! The EasyPress2 requires no setup. Simply take it out of the box, plug it in and start using. 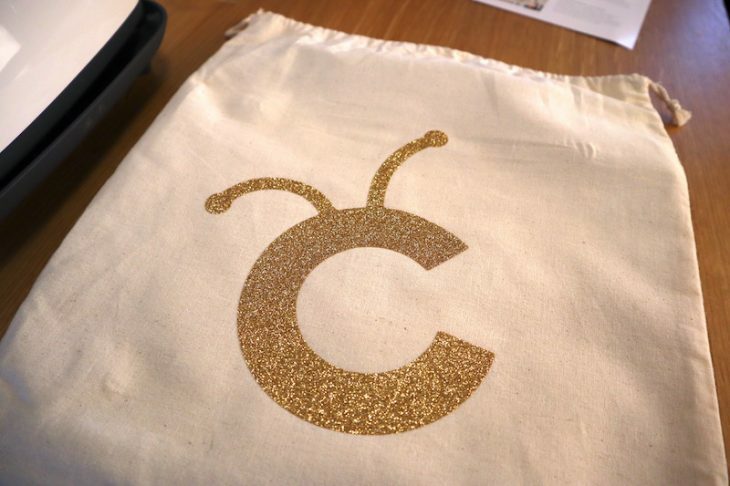 To get you started EasyPress 2 comes with a gold Cricut logo for you to press on the storage bag. 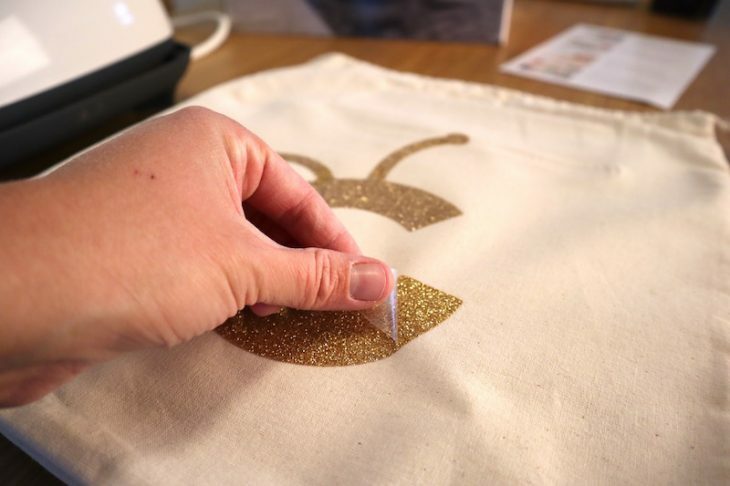 Follow the included instructions and add a bit of bling to the storage bag! 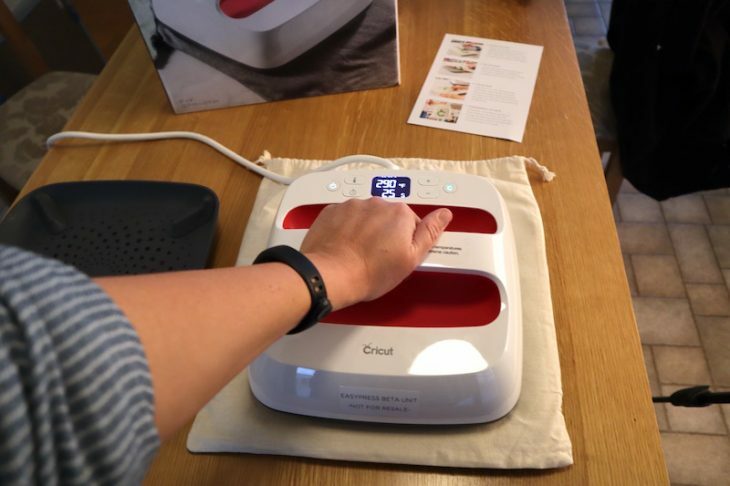 It’s really as easy as turning on the EasyPress, setting the temperature and time. Listen for the beep/green light and get ready to go. You’ll want to use the EasyPress on a solid, firm surface. 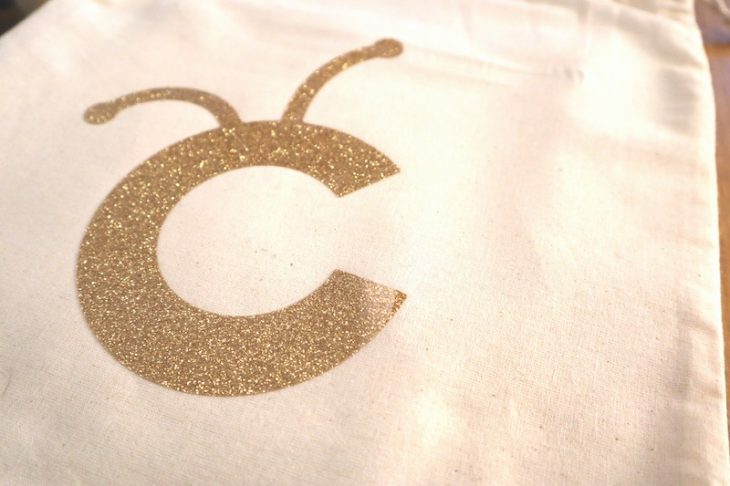 Grab a Cricut EasyPress Mat (sold separately) or a fluffy towel to protect the surface from the heat. I’m using the mat to make things easier. Preheat your material for 5-10 seconds. Then position your iron-on cut out where you’d like it, hit go on the EasyPress, place it on top of the iron-on material and let it work its magic. Flip the material over, press again from the back side, flip back over, peel off the iron film and you are done! First, it heats up to the perfect temperature for the project. No more guessing, no more wondering ” is the iron too hot or not hot enough” the EasyPress 2 sets the perfect temp. Two, it has a timer ensuring the project stays heated for the right amount of time. Three, it’s weighted so that you don’t have to put a lot of effort into pressing the heat into the project. 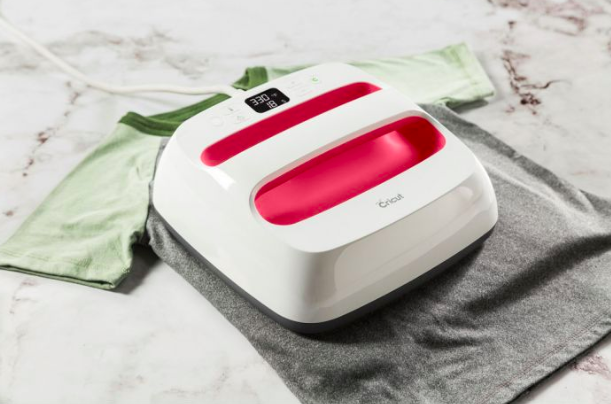 Four, it adheres the iron-on in 60 seconds or less AND the iron-on stays on! I have some kitchen handtowels that need to be spruced up so I’ll be making fun punny sayings on those and either keep or give as gifts. 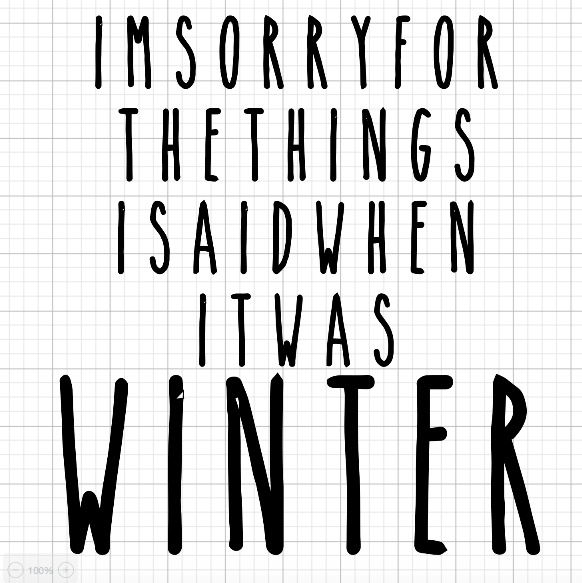 I’m using my Cricut to cut out my iron on sayings and designs. 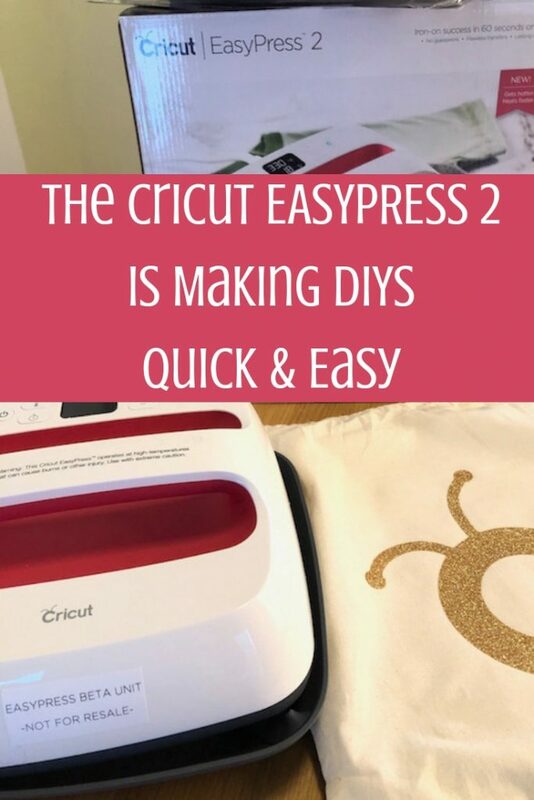 However, if you don’t have a Cricut but still want to get your DIY on with the EasyPress 2 you can purchase precut Iron On Designs wherever Cricut items are sold. 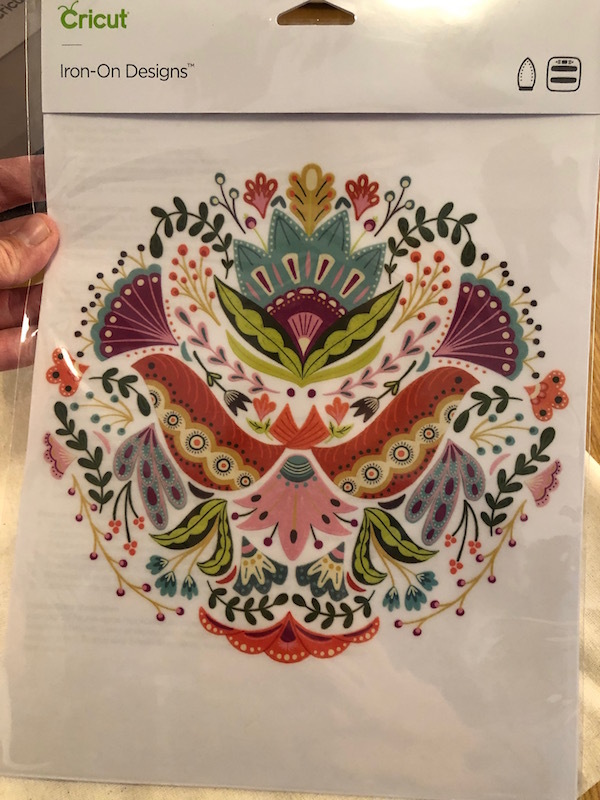 I picked up this one because I love the details and colors and it’s one I’d never take the time to make at home.